An article in NEJM Catalyst looks at future physician supply in relation to increased use of nurse practitioners and physician assistants. To read read the article, please hit this link. In a Medical Economics piece, Rebekah Bernard, M.D., asserts that undertrained nurse practitioners and physician assistants, whom states have been giving more physician-like authority, are jeopardizing U.S. healthcare. “Unfortunately, this lower quality of training and clinical experience is beginning to become apparent. 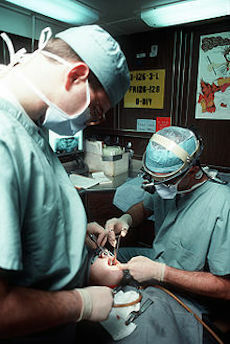 New studies are demonstrating that removing standardized curriculum and physician supervision from nurse practitioner training and practice is impacting the quality of patient care, including poorer quality referrals to specialists compared to primary care physicians, more unnecessary skin biopsies, than physicians, increased diagnostic imaging, increased prescriptions, including increased antibiotic prescribing[v] and higher opioid prescribing shown in the states of Connecticut and New Hampshire. Payouts for malpractice claims against NPs are also on the rise, as are claims for the improper prescribing and management of controlled substances. With training programs churning out NPs at a rate of 23,000 per year, compared to about 19,000 physicians graduating from medical school per year, we may see these trends grow. To read her whole piece, please hit this link. It’s sort of a cliche to say that America has a dangerous shortage of physicians. But a New York Times story challenges that. “But there is strong evidence that we are thinking about this the wrong way. In 2014, the Institute of Medicine released a thorough analysis on graduate medical education that argued there was no doctor shortage, and that we didn’t really need to invest more in new physicians. To read the full Times story, please hit this link. More physicians are considering joining unions. One well-known supporter of unionization is David M. Schwartz, M.D., president of a union local that represents 27 hospitalists at PeaceHealth Sacred Heart Medical Center at RiverBend, in Springfield, Ore. 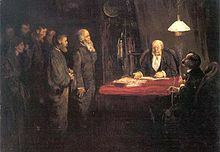 The publication reported that his group “is thought to be the first doctors’ local limited to just one specialty. The National Labor Relations Board now lets “micro-units” of employees to join unions, which could boost the overall unionization of physicians. It is easier to sign up a small group, such as hospitalists, than to recruit the entire physician workforce in a hospital. But don’t expect a rush of hospital-employed physicians to join unions, although things may change as healthcare’s reimbursement revolution accelerates. Howard Forman, M.D., a radiologist who teaches healthcare economics at Yale, noted that unhappy employed physicians generally have many jobs they can move to — and hospitals’ C-suites’ knowledge of that would tend to prevent unpopular moves that would lead many physicians to quit. “A few physicians able to move ‘should provide a meaningful lever to change compensation and work requirements for all,’ ‘ Dr Forman told Medscape. For most doctors to agree to strike, ”the times would have to be more desperate than they are now”. Still, the move to hire cheaper clinicians such as nurse practitioners and physician assistants to perform many of the tasks traditionally performed by physicians, and especially by internists, pediatricians and hospitalists, may soon reduce the number of physicians’ greener pastures elsewhere. To read the Medscape piece, please hit this link. Mt. 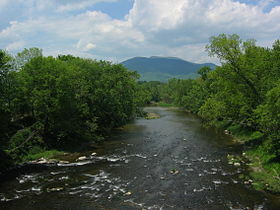 Ascutney, the subject of many celebrated painters over the years. “The emergency department at Mt. Ascutney Hospital and Health Center, a 25-bed critical access hospital in Windsor, Vt., is staffed by physician assistants, with an emergency physician on backup. But if they need more immediate help, the push of a button will summon emergency medicine specialists — from South Dakota. 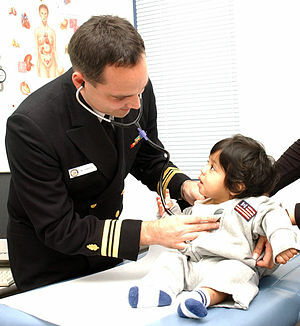 Nurse practitioner at U.S. naval base in Japan. This article from Physicians Practice looks at the expanding but controversial status of nurse practitioners and physician assistants in U.S. healthcare. Regulators and insurers seek to boost their role as part of an effort to curb costs and expand healthcare access in the world’s most expensive healthcare system. But many physicians think that these nonphysician clinicians are inadequately trained for expanded roles and fear that they will cut into physicians’ incomes. 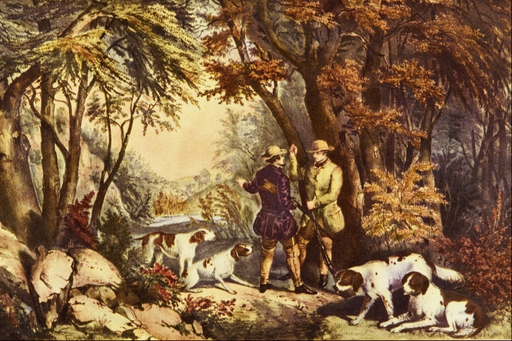 “Morning in the Woods,” by Currier & Ives. The Medicus Firm, a healthcare staffing company, reports that primary-care physicians might want to consider looking in a rural area for a new job. Not only do many rural areas have significant need for PCPs, but they may also offer the biggest compensation packages. The Medicus Firm compiled data based on its placements of PCPs and physician assistants made with more than 250 hospitals, health systems and medical groups in 2015. With the aging of the population and Medicaid and other health-insurance expansion under the Affordable Care Act, U.S. physician assistant compensation has risen to a median of almost $100,000 on average across the U.S. amid a nationwide shortage of physicians. A new state-by-state statistical profile of the profession from the National Commission on Certification of Physician Assistants found that the median PA salary was $95,000 for 2014, the most recent full year that such information is available. What has been happening with the rise of such non-physician clinicians as nurse practitioners and physician assistants is now happening in dental care, too, with the appearance of “dental therapists”. They work in the space between dentists and dental hygienists. It’s a matter of healthcare access and cost. Many middle-class patients forgo dental care because it is very expensive, in part because dentists have demanded and gotten very high incomes. Consider that the average net income for a general dentist exceeds $180,000 — more than the average of around $170,000 for primary-care physicians. In some places poorer people on Medicaid can get dental care, though such access can vary quite a bit across America. Further hurting access is that dental insurance, if you have it, usually provides very skimpy coverage, forcing most patients to make very large out-of-pocket payments. It’s enough to scare a lot of people away from getting the treatment they need. And course poor dental care can lead to other health problems, including heart disease. So some states, although often opposed by dentist organizations fearful of reduced incomes for their members, are authorizing a new classification called “dental therapists” to provide routine care at considerably lower prices than those charged by dentists. We’d bet that pressure from payers will lead to a rapid expansion in the number of this new kind of dental practitioner. We may even see them soon in retail clinics run by CVS and other drugstore chains. September 24, 2015by Robert Whitcomb in Uncategorized tagged Advocate Illinois Masonic Medical Center, Donna King, physician assistants, R.N. Video: Donna King, R.N., vice president for clinical operations and chief nursing executive for Advocate Illinois Masonic Medical Center, in Chicago, talks about the need for physician assistants and advanced practice nurses to play key roles in population-health management and the need to properly educate physicians about nonphysician clinicians’ role.